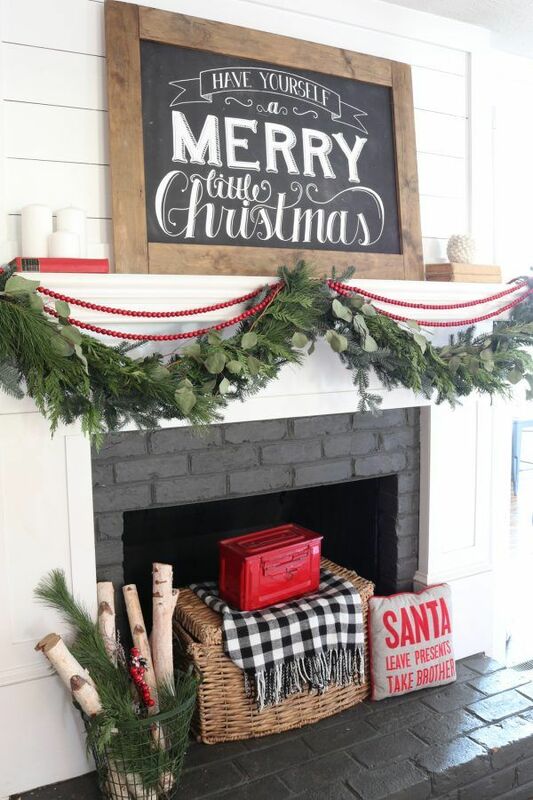 You can’t have a fireplace mantel and not decorate it on Christmas. 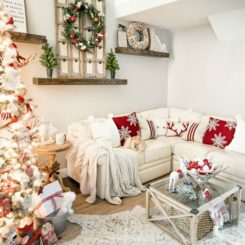 With that in mind, we’ve prepared a bunch of charming Christmas mantels for you to take a look at. 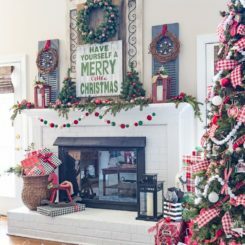 Who knows, maybe one of these projects will give you an idea of how to make your own mantel look festive and charming this year. 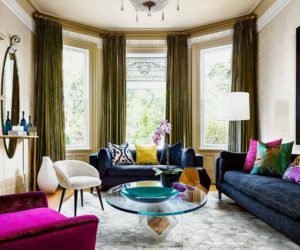 We hope you’ll find these ideas as charming and as inspiring as we do. 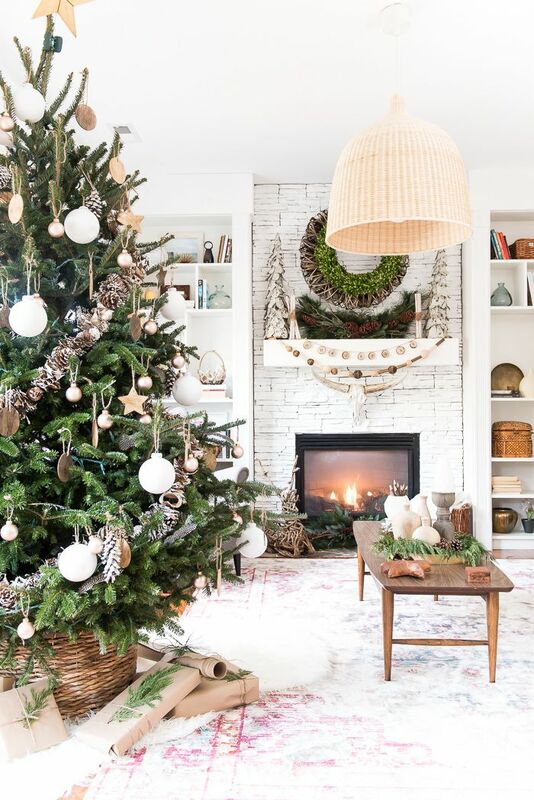 Before we get into details we’d like to share with you some advice that we found on thedesigntwins: just because you have a huge collection of Christmas ornaments gathered over the years doesn’t mean you have to actually use them all. 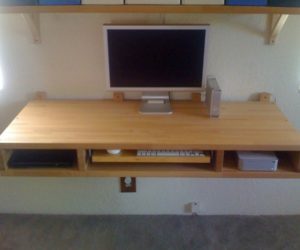 As it turns out, simplifying things can be very rewarding. 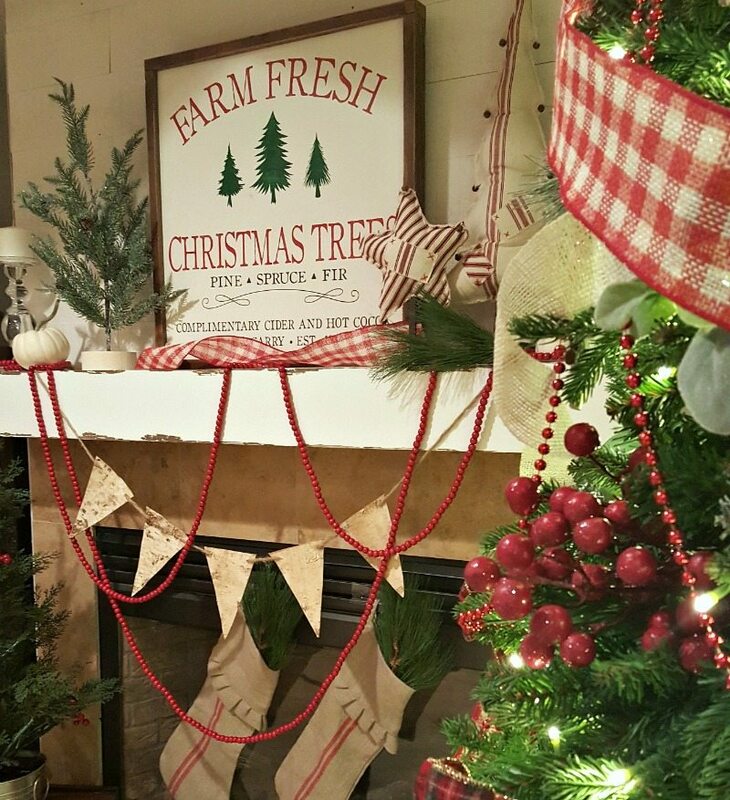 Check out how gorgeous this mantel look with that simple bead garland, the bunting and the themed sign on top. 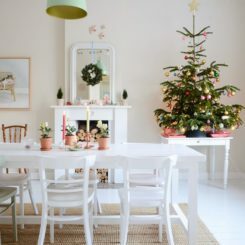 You can simplify things even more if you’d like to try a minimalist Christmas this year. 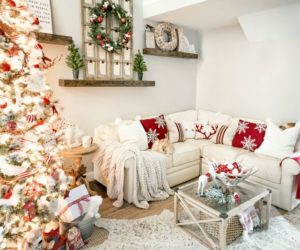 One way of simplifying your Christmas decor this year is if you reduce the color palette to only a few neutrals such as white, beige and brown, as a way to give the decor a natural vibe. 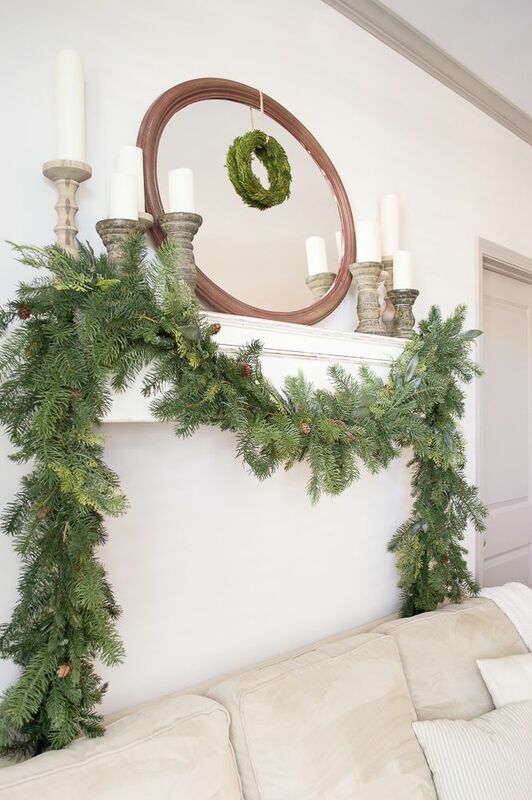 You could make a pinecone garland for the mantel and you could hang a simple boxwood wreath just above the fireplace. 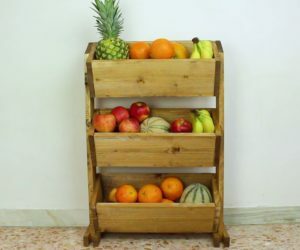 Find more lovely ideas like this one on placeofmytaste. 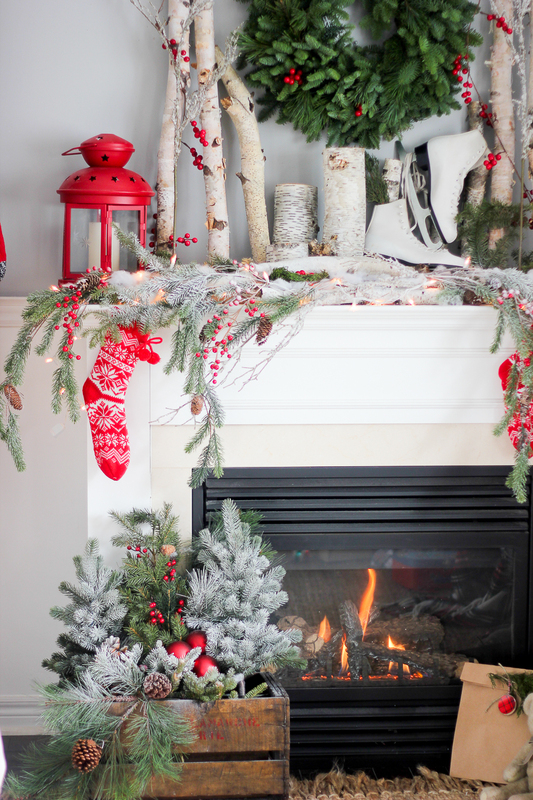 Speaking of simplified Christmas mantels, check out how beautiful this decor featured on frenchcountrycottage is. 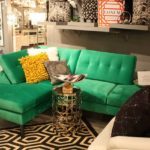 We absolutely love the white and green color combo. The wreath is lovely and so is everything else around it, including the magical Christmas trees. That’s right, you can. 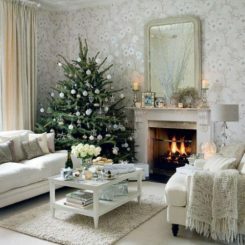 have more than just one Christmas tree in your home (or you can use a mirror to create a magical effect). 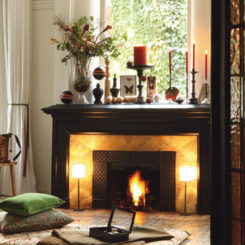 Your mantel can look magical and charming even if there’s no Christmas tree nearby. In fact, consider this an opportunity to try something special this year, something simple and classy. 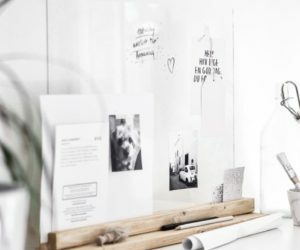 You could frame a few holiday-themed cards or signs and display them on the mantel along with a garland made from old book pages. That’s an idea we got from houseofhargrove. 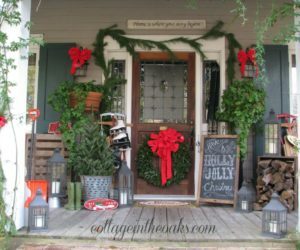 You can use greens in all sorts of creative ways this Christmas, not just to make wreaths but also to make beautiful centerpieces or to decorate the mantel. In fact, you should check out unskinnyboppy to find a bunch of cool ideas, including one for this noel mantel ornament made of boxwood and wire. 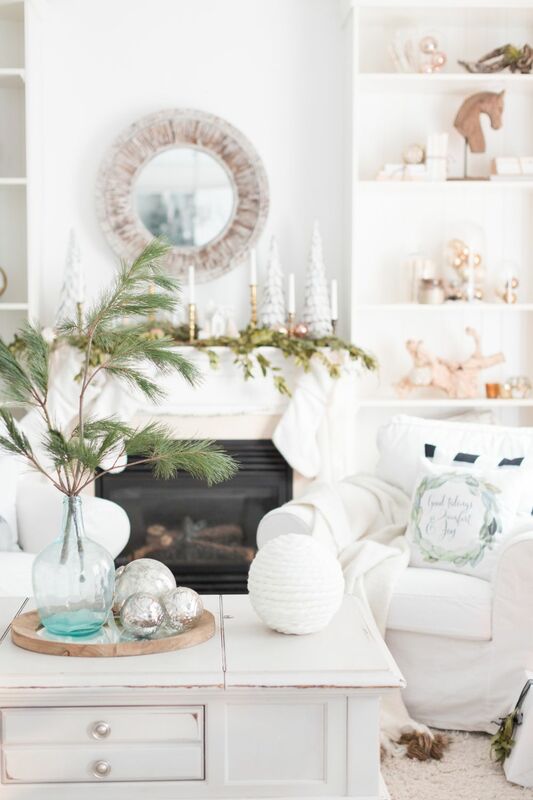 Nature-inspired mantel decors are among our favorites so, as soon as we saw this Christmas home tour on craftberrybush we knew we just had to share it with you. 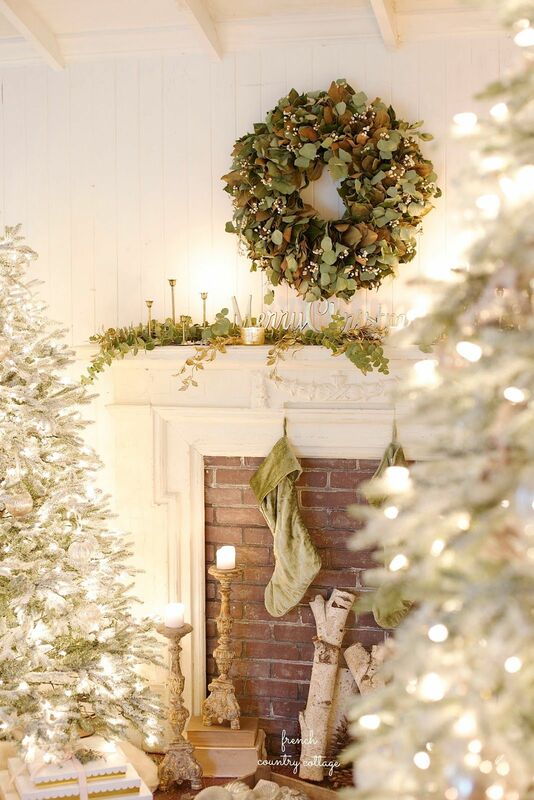 We particularly love the mantel setup with those branches, the greens, the Christmas stockings and the fairy lights. 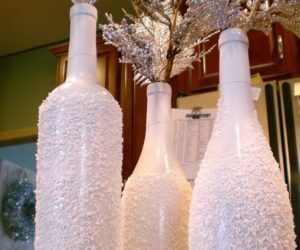 Planning a white Christmas? 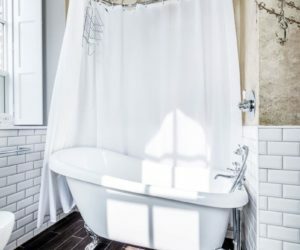 That’s a perfect idea if your home already has a minimalist, Scandinavian-inspired decor. 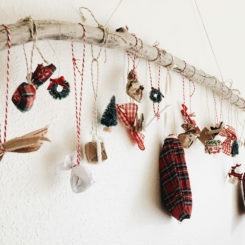 You could decorate the mantel with a few boxwood or pine branches and some white candles and you could also make some of these charming Christmas tree-shaped decorations out of cardboard. 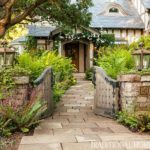 Check out craftberrybush for more inspiring ideas. We love green garlands like this one from craftberrybush and we think they look awesome on mantels, especially when you also add fairy lights. In this particular setup the grapevine wreath is a great touch as well. It completes the decor in the best possible way. 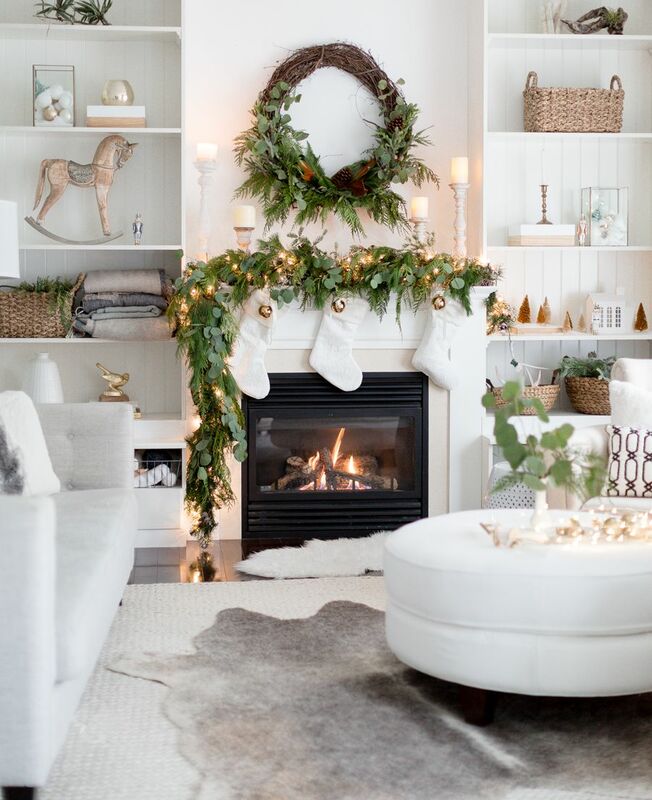 Christmas lights and mantel garlands go hand in hand, as proven once more by this lovely setup featured on littleredbrickhouse. The black and white stockings look lovely too, especially since they match the Christmas tree skirt. 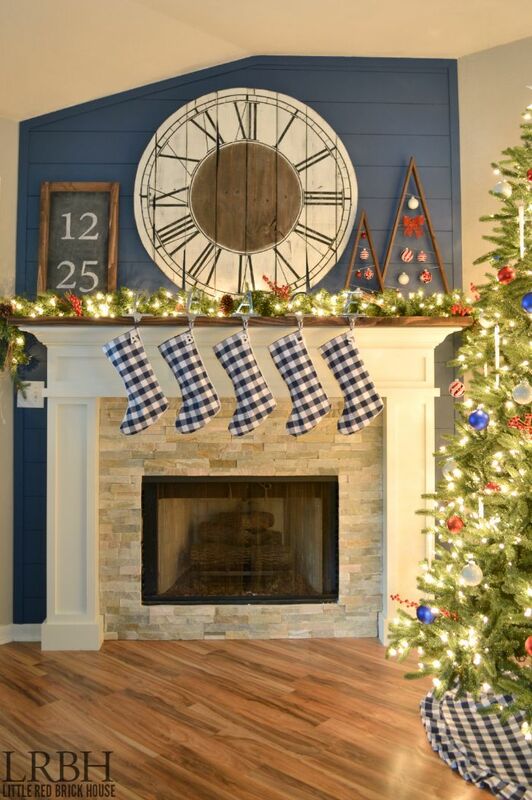 And look at those cute mantel decorations too. Aren’t they adorable? 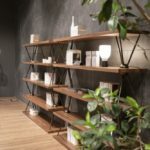 You can actually have a mantel without a fireplace. 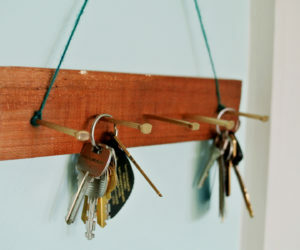 That’s right, this is an option, a very creative and original one that we first encountered on littleredbrickhouse. 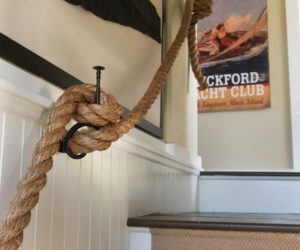 You can install the mantel on one of your living room walls, like you would any other shelf. 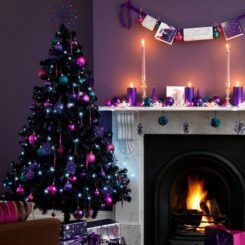 Then, on Christmas, you can turn it into a focal point for the room by decorating it with all sorts of festive ornaments. 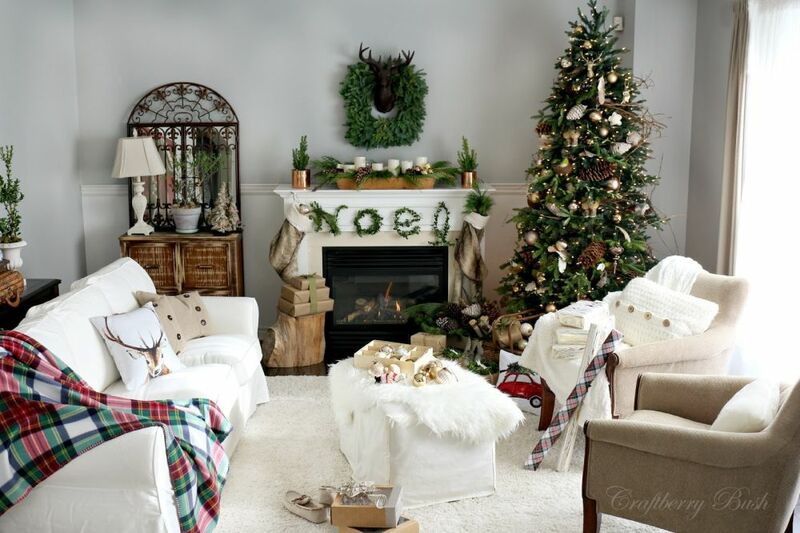 It could be pretty cool to decorate the mantel using things from your own garden like greenery, maybe some pinecones and fallen branches too. 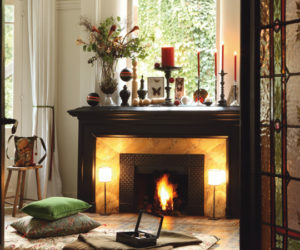 If you have more than enough for the mantel, take the extras and put them in a box next to the fireplace. Head over to craftberrybush for more inspiration. Another idea is to make a sign and to display it on the mantel. 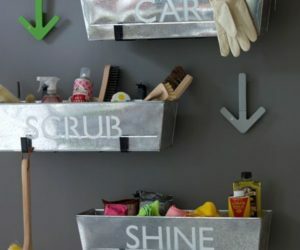 We find chalkboard signs to be some of the most versatile and interesting ones. You can customize them with festive Christmas wishes and you can later reuse them on other occasions. 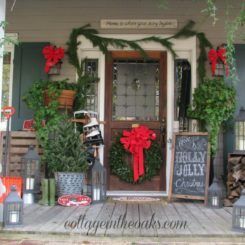 Check out beneathmyheart to see how such a sign can enhance your Christmas mantel decor. 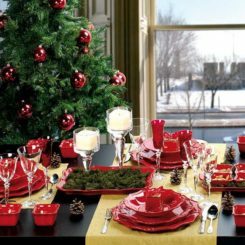 When decorate the mantel for Christmas think about not only the ornaments but also the general ambiance and decor that you want to create. 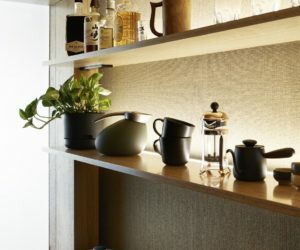 Aim for a balanced and cozy atmosphere. 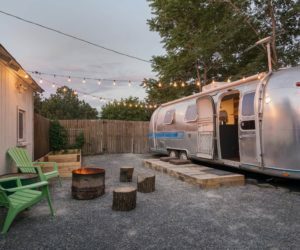 We really like how this setup from homestoriesatoz turned out. 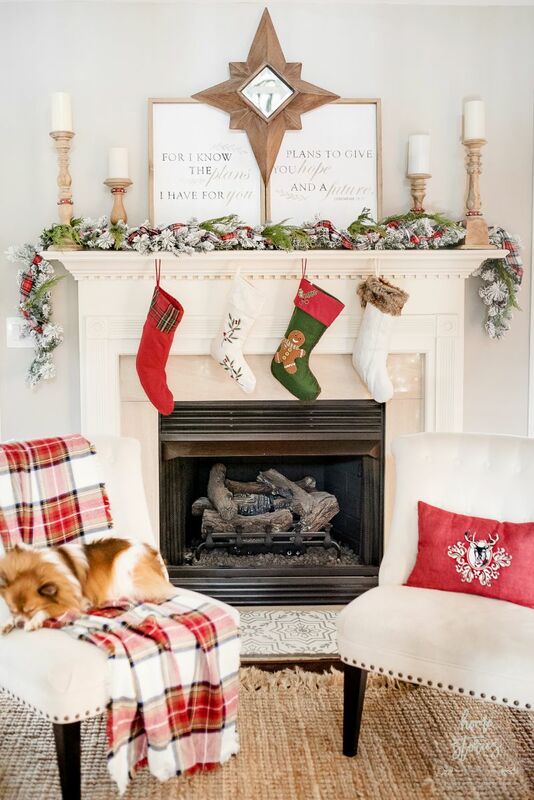 The sign on the mantel, the candlesticks, the Christmas stockings and the comfy chairs are all part of the plan. 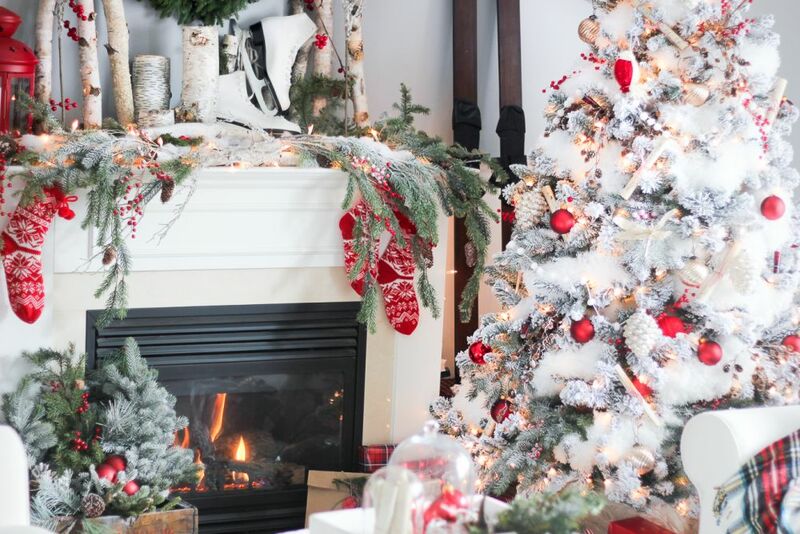 Incorporate already existing mantel decorations into your Christmas setup. 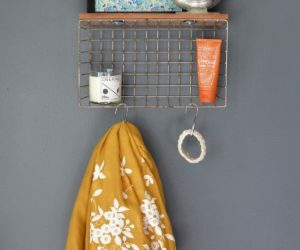 For example, if there’s a mirror on that wall just leave it there and place Christmas ornaments around it or if you already have ornaments on the shelf just give them a festive makeover. 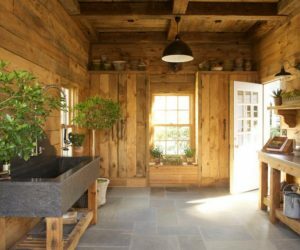 Perhaps you can add a few green branches here and there, some candles or some string lights. Of course, the Christmas stockings can be added as well. 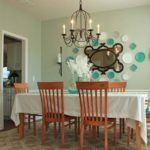 This particular decor is shared on thesunnysideupblog. 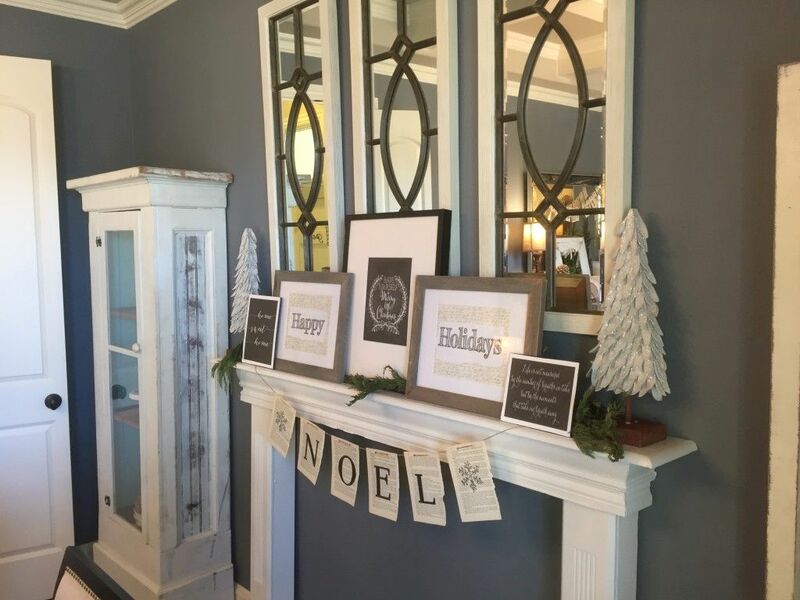 Speaking of mirrors and everyday mantel decor, a cool idea can be to find inspiration in the existing mantel setup and to use it to create a custom Christmas mantel decor. For example, this mirror is already shaped like a wreath which is pretty cool. 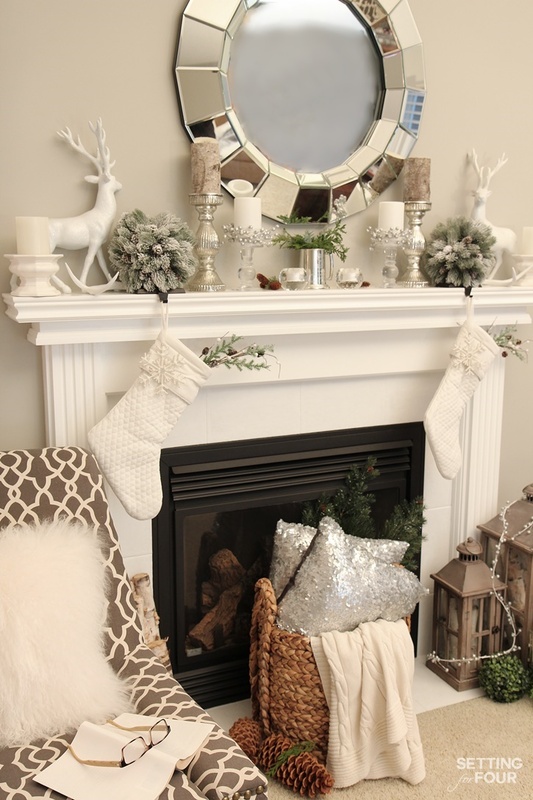 The rest of the mantel ornaments are either white or silver with only a few touches of green and everything combined looks stylish and sufficiently festive. 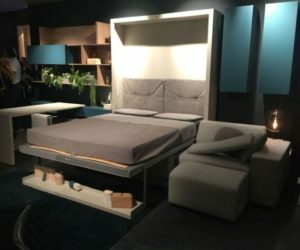 You can find more details and ideas on settingforfour.